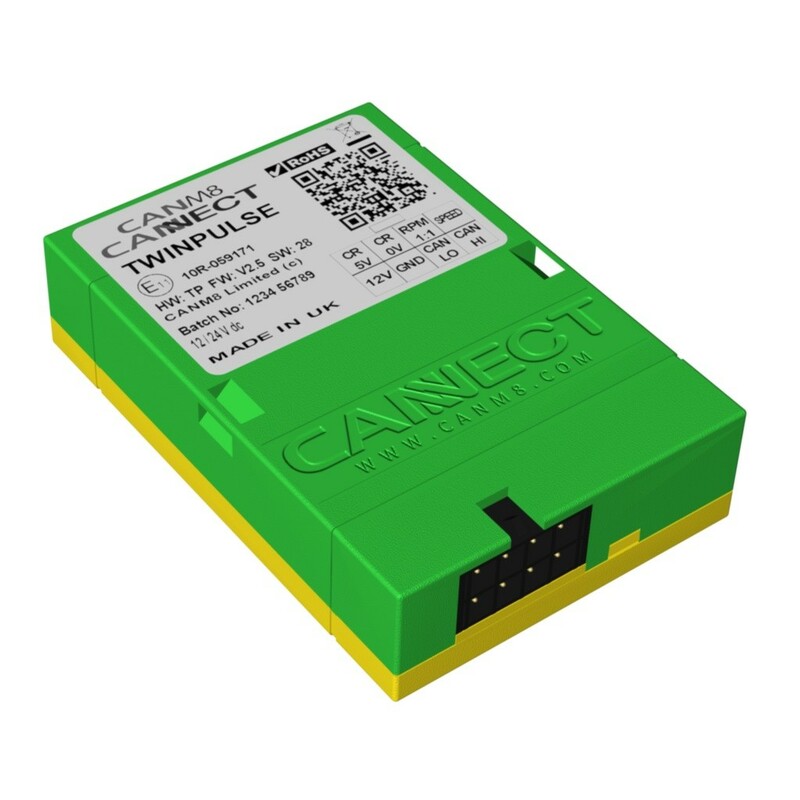 The CANM8 CANNECT TWINPULSE is a dual output CAN Bus interface that will provide square pulsed outputs for both speed and RPM and is available in a wide range of frequencies. RPM Signal > 12v square pulsed output at approximately 1 pulse per 4 RPM. N.B. Also available with RPM ratios of 1 Hz = 1 RPM, 1 Hz = 2 RPM, 1 Hz = 8 RPM and 1 Hz = 64 RPM. The CANM8 CANNECT TWINPULSE is designed as a universal solution for installing after-market electronic products that require a speed and RPM pulse on vehicles which feature CAN Bus wiring. YELLOW > RPM Signal Output : 12v pulsing (1 Hz = 4 RPM approx).